Did you know that The Woodstock Festival didn’t actually take place in Woodstock, NY? Originally the concert was set to take place there, but the organizers couldn’t find a solid location in which to hold the event. So they tried to move it to Wallkill, but permits were snatched away a month before the show was scheduled to take place. So Max Yasgur, a dairy farmer in Bethel, stepped in and offered up his land for the festival’s setting. A couple other fun facts: The Jeff Beck Group (most notable for members Rod Stewart and Ronnie Wood) was supposed to perform at the festival but broke up weeks before; and Iron Butterfly “got stuck” at LaGuardia Airport (truth: their rider demanded a helicopter ride out to the festival and immediate payment for their performance, and the organizers were like, “Yeah, no”) and couldn’t find a ride out to Yasgur’s farm, so both had to ghost their show slots. Also, if you spot a Woodstock t-shirt out in the wild, no need to go green with envy over that sick swag: There was no official festival merchandise available for purchase during the actual event. Any t-shirts, patches, or other memorabilia gotten at Woodstock were likely either made and sold by other attendees, or were made after the fact. Which, by the way, we're totally not hating on, because if you weren't even born by the time the '60s and Woodstock happened, that doesn't mean you have to miss out on all that electric energy, dig? 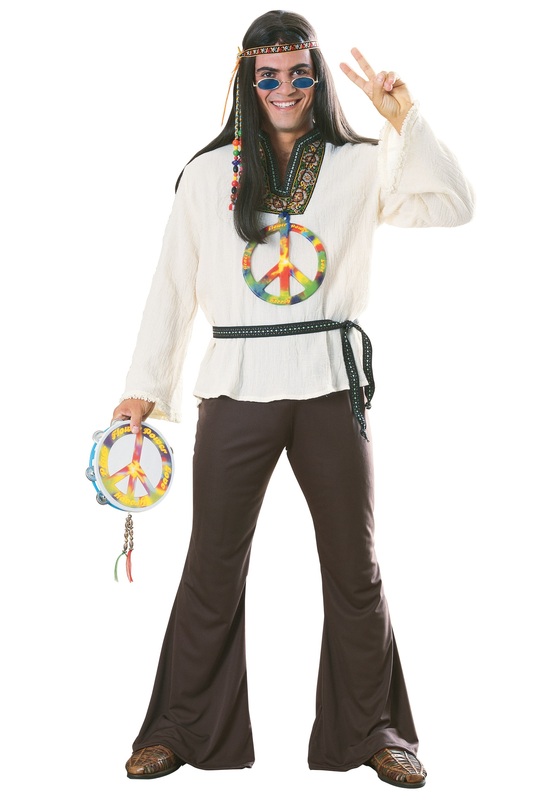 In fact, this Adult Groovy Hippie Costume goes a long way in making you feel like you were right in the middle of the peace and love movement! From the bell bottom pants to the sheer shirt with flared sleeves, you'll look like a total blast from the past. Just add a long swinging wig, some rose-colored glasses, and maybe a hemp head band, and you'll be ready to turn on, tune in, and drop out!